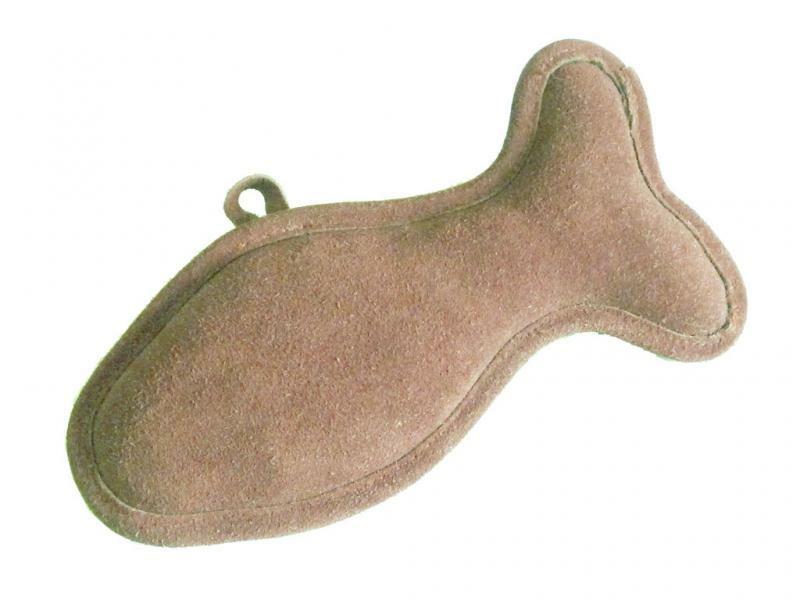 Fish shaped suede leather toy is made with quality calf leather and filled with recycled fabric. It is tough and safe for chewing. The bone suede leather toy is 23cm long and available in red (picture) and coffee colours.